Part of the efforts of the provincial government is the upgrading works being done in 14 government hospitals to cater to the growing number of people in need of health care services from all walks of life. Recently, the provincial government and the Pangasinan Provincial Hospital in San Carlos City were certified by the International Organization for Standardization (ISO) for having successfully installed internationally accepted quality management systems and standards in daily operations. Governor Amado Espino, Jr. said Pangasinan was the first province in the country to receive the ISO seal. “As a certified ISO organization, the province of Pangasinan and the Pangasinan Provincial Hospital now belong to that elite club of businesses and organizations throughout the world that employ, and are compliant with, internationally accepted quality management systems and standards,” Espino said. But the province never stops working to be the best in hospital management. Aside from public health, aggressive tourism efforts are in the works to promote Pangasinan as a choice tourist destination and suitable venue for conventions, conferences, sports, and other important national and international events. Sustained efforts to improve the capability of the province and the local communities to attract and receive visitors include: restoration of heritage sites, preservation and promotion of local history, culture and arts among the local populace, improvement and accreditation of tourism sites, support services, facilities, and infrastructures, development and marketing of local products and services, conduct of trainings for local entrepreneurs and tour operators, and networking with external agencies and organizations involved in travel and tourism. Favorable infrastructure developments are also designed to stimulate more economic activities in the province. Waiting in the wings is the completion of the Tarlac-Pangasinan-La Union Expressway (TPLEX) across eastern Pangasinan, which can reduce travel time in and through Pangasinan, and will bring in more investments and economic activities to the province. The plan to convert the Sual Port into a containerized sub-port, the expansion of the Lingayen airport, and the long-delayed development of the Lingayen Eco-Tourism Zone, are vital initiatives that the provincial government will pursue with greater vigor and determination to attract more investments, stimulate more economic and livelihood activities in Pangasinan. 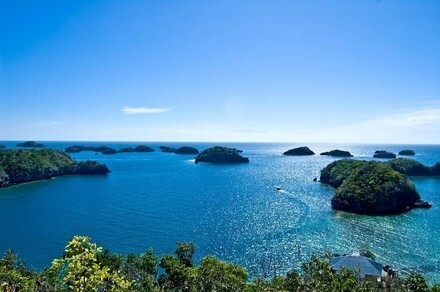 As Pangasinan is home of the famous Hundred Islands, the province and the Alaminos city government made the necessary facelift to the three major islands (Quezon, Children and Governor’s Island) to create a vacation site at par with other destinations in the country. In Urdaneta, the opening of Xentromart Bagsakan (XB), considered the biggest agri-trade center in Pangasinan, is expected to further boost the city’s status as a major trading center in the North. XB will not only provide livelihood opportunities for residents, but generate additional revenues for the local government. Meanwhile, in Dagupan, an independent component city in Pangasinan, the city government is dedicated to boost its tourism and to strengthen the bangus (milkfish) industry, especially with the operation of the Bangus Seafood Processing Plant. Activities for the Bangus Festival this year is all set to draw tourists to visit Dagupan City and join the festive celebration. Dagupan will soon have its own modern and large fish port that is expected to dramatically improve the fishing industry of the city and the entire province of Pangasinan. The Dagupan fish port is already provided for in a law enacted by Congress with Fourth District Representative Gina De Venecia as the author and approved by President Benigno S. Aquino III in December last year.